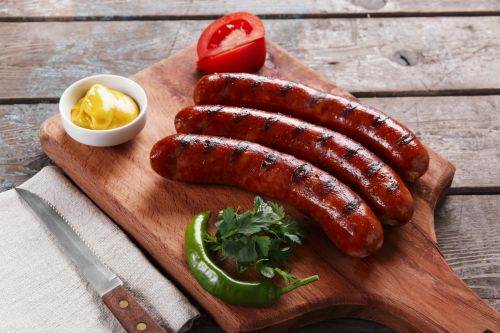 This classic polish sausage is ready to eat and smoked over hickory to seal in the natural flavors that have made this bratwurst one of the best. A touch more spice than our smoked brat with somewhat of a garlic flavor. Quality cuts of Wisconsin pork and beef are coarse ground in tender natural casings. Serve in a bun with pepper jack cheese or cut up into your favorite sauces, soups and everyday meals. Smoked polish sausages work well as a standalone meal or a great flavor enhancer to your dish. There are approximately five Keilbasa in a one pound package. 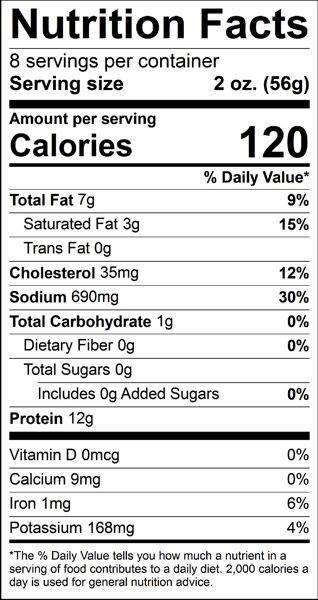 Ingredients: Beef, pork, water, salt, corn syrup solids, spices, monosodium glutamate, natural smoke flavor, garlic powder, sodium nitrite, dextrose, natural casing. I can't find sausage like this overseas where I'm living. It's good to have great tasting sausage. I received the packages. Thank you so much! So far everything I've tried tastes amazing. I browned up some of your polish sausage and dipped it in some peach/apricot with some crackers, and Colby cheese. Nice late night snack. Make my daughter very happy! Thank you. We received the package today. Thank you for the responsive customer service. Looking forward to enjoying the meats and ordering again in the future. Service Area: Mauston, Portage, Waunakee, Reedsburg, Black River Falls, Richland Center, Montello, Wautoma, Poynette, Sauk City, Cross Plains and surrounding communities.